Welcome to my Sims website. 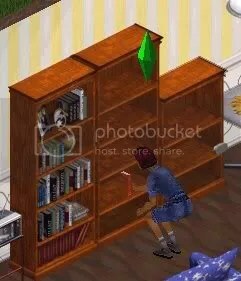 I have previously created Sims 1 items and am currently recoloring objects from the Sims 3. I am a proud member of the Sims Fanatics Community. You can find the SFC as a Yahoo Group and soon to be a Facebook Group. You can find downloads in the many Yahoo Groups associated with the SFC. Please be patient, for there are very few Sims 3 downloads available due to the new-ness of the game. I will try to make them available as soon as I am able. Feel Free to browse my website and download what you wish. I’ve just created another endtable for the Heartfelt Bedroom Set! Don’t forget to check it out!